In the age of the three dollar and four dollar comic books, one must choose their titles carefully. A solid creative team must develop a story that's engaging and brings readers back for more. Sadly, that is not the plan of the creative team behind Grifter. 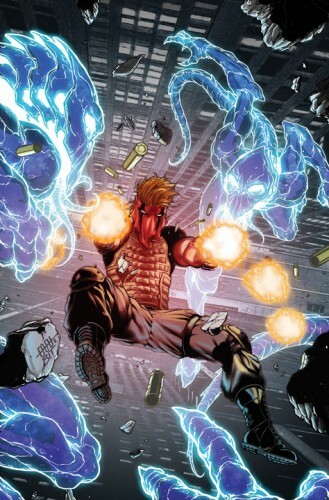 Now, I will admit that I never read an issue of Jim Lee's WildC.A.T.S., so my knowledge of Grifter is minimal. Why did I pick this title? I was sold by the cover, which showed some promise. We see the main character, the Grifter, falling off a building with guns blazing. I thought it was cool and I am a sucker for cool covers. However, after reading the first issue, I will not make the same mistake. OK, maybe I will with other titles, but Grifter is no longer on my must read list. What did I find out in the first issue? Not much. The Grifter is a man named Cole and he's something of a con artist from New Orleans on the run. There is a sub-plot where we find out that Cole may be a rogue government agent and they are determined to find him. Also, Cole may be the host of some alien being, but the jury is still out. You may be wondering, "What's the problem? That sounds cool to me." The problem for me is that this book seems to be nothing more than a poor man's Gambit.Cole is from New Orleans and seems to be from the Gambit mold. Debate this accusation all you want, but we have the slight bayou look and there is a moment where he slyly uses some playing cards to foil an adversary. The similarities are there and it is by no means thinly veiled. The plot itself is less than engaging. There are aliens in human form among us, and Cole seems to be the only one that knows who they are. He discovers their presence on a flight and somehow manages to kill one of the aliens. Also, we find out that there is a second alien on the plane and it fights Cole, but the two of them manage to get the door to the plane open, and they fall out while fighting in the air. The story moves on to how Cole was able to detect the aliens, which is nothing I found to be interesting or engaging because I've read this type of story before in ROM. I had no issues with the artwork. Everything looked nice. The panels allowed smooth transition and the action scenes were well done. Overall, this was a disappointing first issue. Take into consideration that I'm a first time reader of this title. Remember, it is important as a creative team to immediately capture the attention of readers that are not familiar with your title. We all have been first timers and we can list the comic books that hooked us and the comic books that irritated us. Grifter failed for me because the story is Gambit meets ROM. As I mentioned earlier, in the age of the three and four dollar comics, we need to be hooked immediately and have little time for building up some major event over the span of three to four issues. Do you really want to spend nine to ten dollars to be disappointed in the end? I didn't think so. 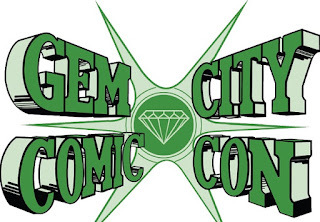 TonyDoug Wright is the owner and editor of Champion City Comics. His webcomics include Dr Death vs The Zombie, The End of Paradise, and Day 165.